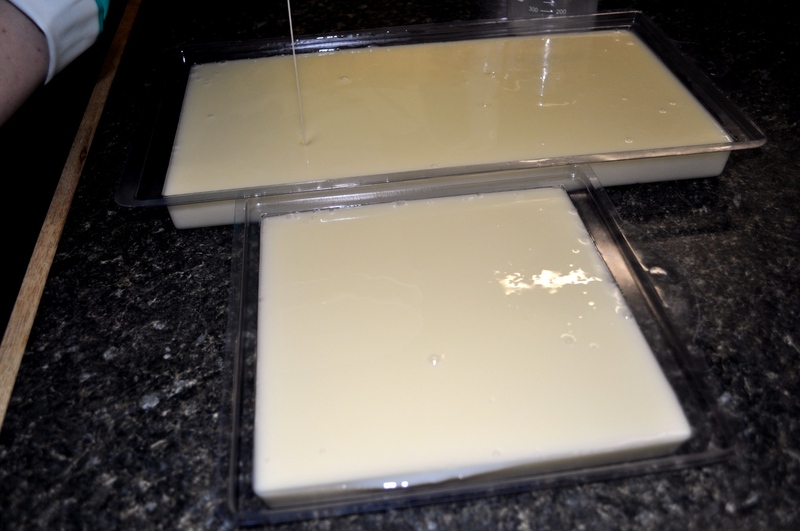 Ready for part 2 of milk cold process soap? We are going to follow the same recipe and steps as the post yesterday, but we are going to use goats milk instead. Oils ready for the microwave. 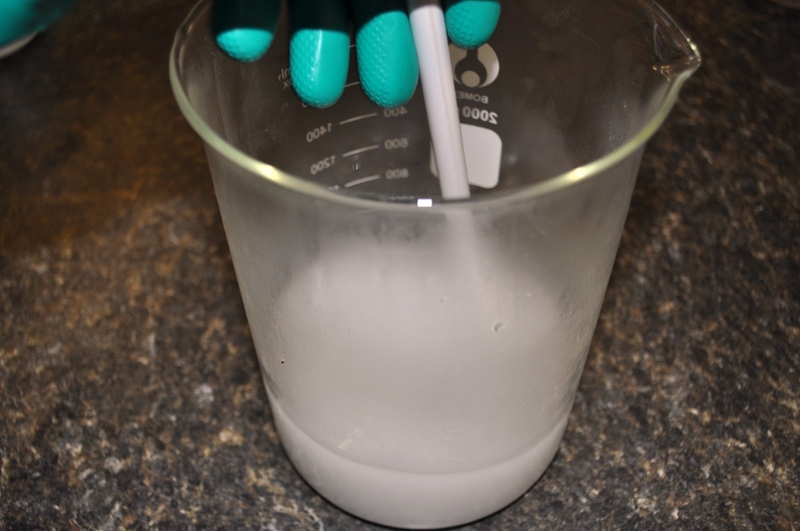 What is the advantage to using the Half and Half Method rather than adding the milk to the lye solution? The advantage is that we allow the normal saponification to happen, without stalling using cold temperatures, we get firm soap quickly, AND we don’t have any separation in the mold. 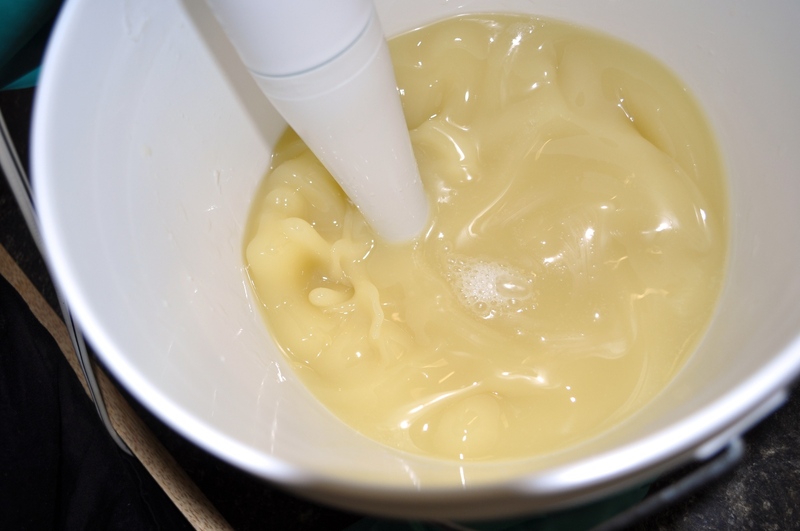 We feel that our best batch of soap is the first batch and by following the Half and Half Method, we reduce the chances of our soaps failing and increase our chances of getting that perfect batch of soap the first time around. The Half and Half Method is actually very easy to follow. Here are the directions that we will follow in a step by step format. 1) Calculate the amount of lye and liquid needed for the oils you plan to use. Adding lye to the water. 2) Measure all of the oils and set aside to heat gently. 3) Measure the lye and set aside. 4) Measure HALF of the needed liquid as water and set aside. Measure HALF of the needed liquid as milk and set aside. Milk should be room temperature, not frozen or heated. 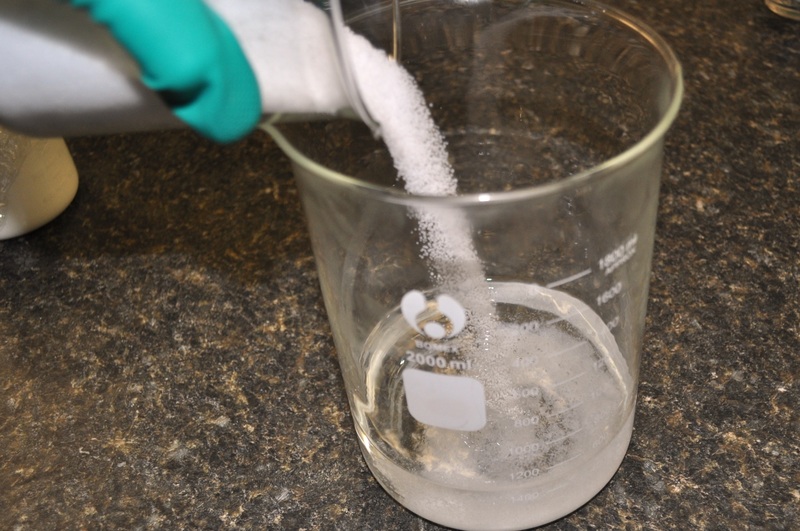 5) Add ALL of the lye to the water. Stir well. No crystals should remain on the bottom of your mixing vessel. 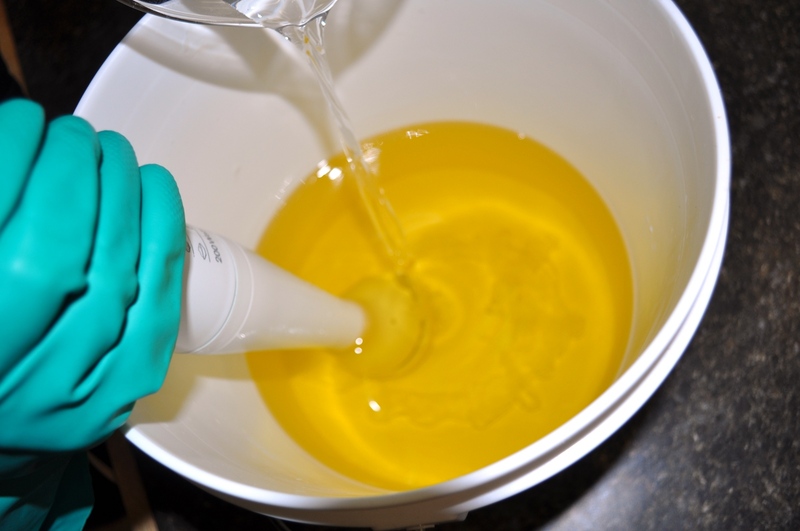 When the temperature of this lye solution is within 110° F to 130° F, (cooler in the summer and warmer in the winter, cooler for large batches and warmer for small batches), add it to the oil mixture. 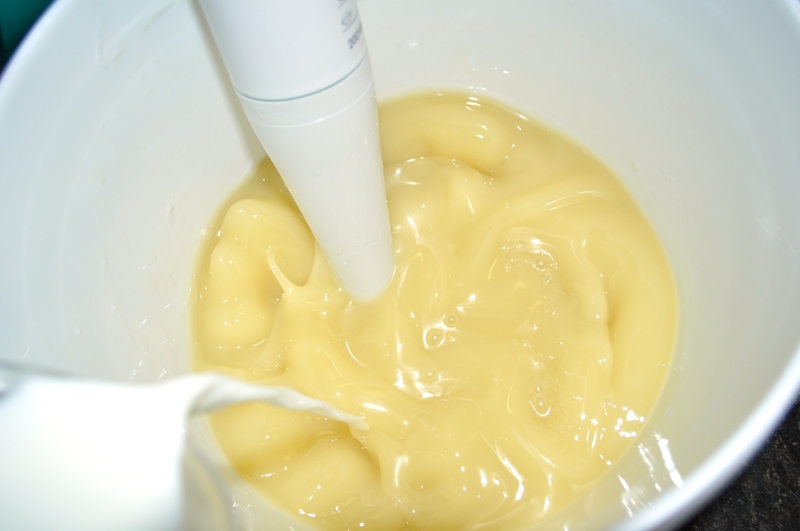 Blend with an immersion blender until you estimate you are halfway through the mixing process. This will happen with most oils in about 1 minute. 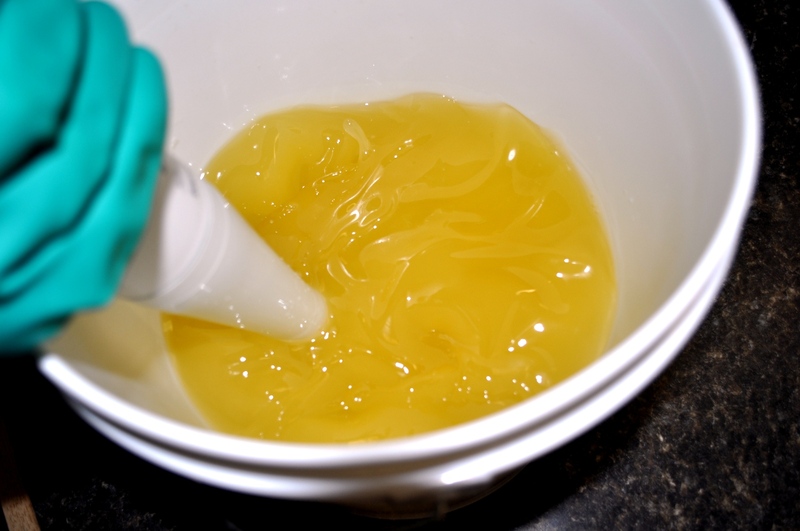 The mixture should NOT be thick or viscous. The mixture should be very fluid, like water. Adding the lye solution to the melted oils. 6) Now steadily pour the milk into the batch. 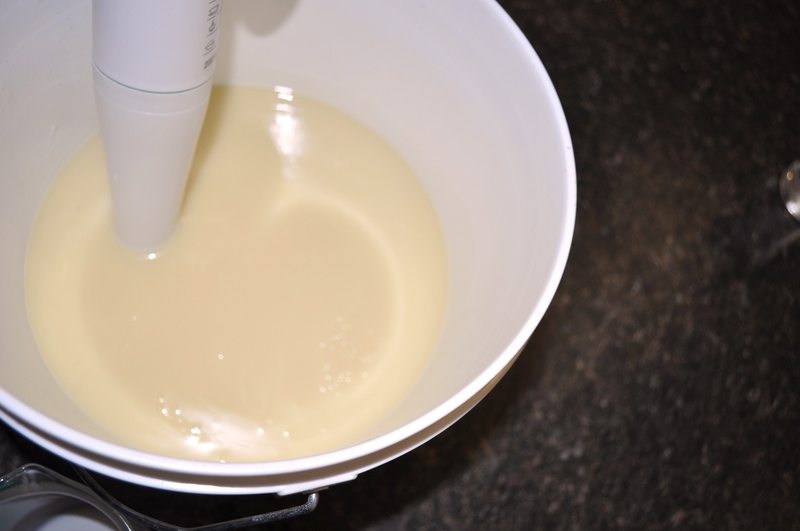 Use the immersion blender to finish the blending so there is no chance of separation. 7) Add fragrance. 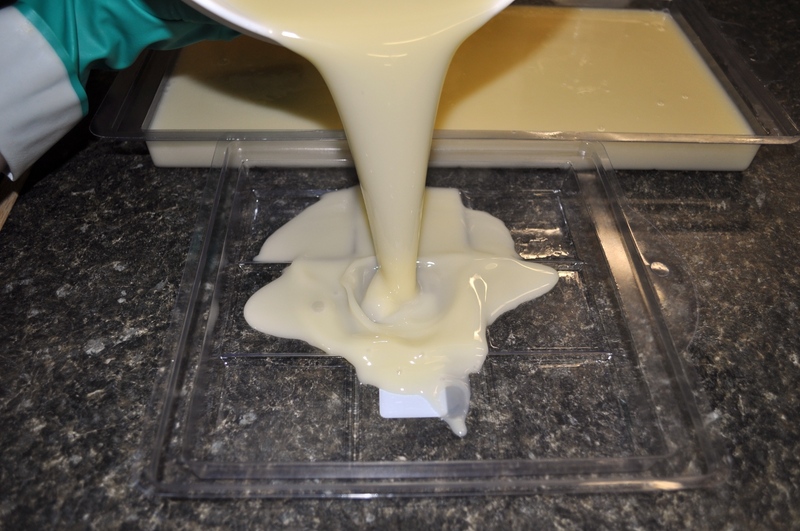 Pour into prepared SHALLOW molds (1 inch deep or so). 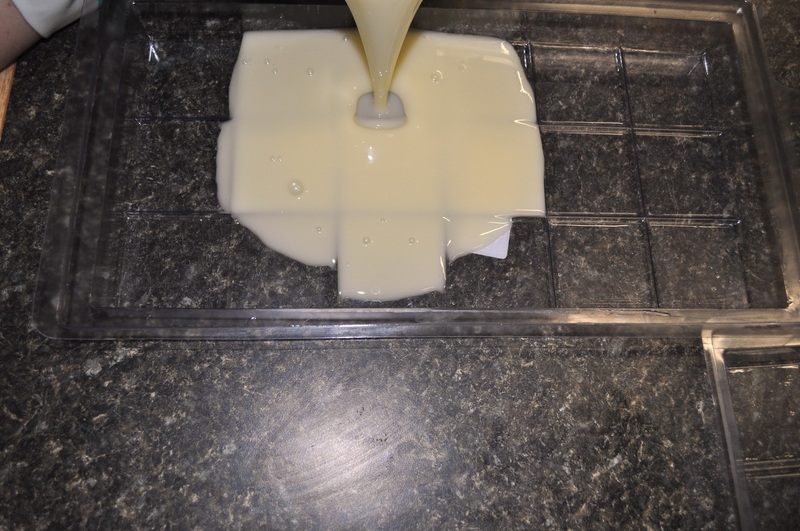 Milk soaps can get very hot and shallow molds help the excess heat dump into the air. This will prevent the milk sugars from interrupting the saponification reaction. Mixing the batch to halfway to trace. This is called the Half and Half Method, because you use half water, half milk, and add the milk half way through the blending of the batch. Almost ready for milk to be added. 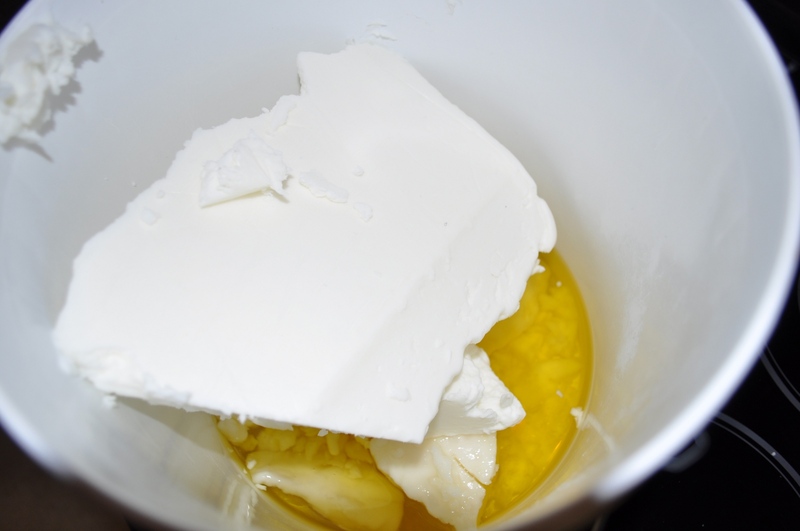 Tomorrow we will make a Buttermilk Soap. We only have Soy Milk and Almond Milk left after buttermilk! Don’t forget to submit your blog or video posts to win the MMS Perfumer’s Kit. Remember, this kit is worth $280! Submissions are due by March 1st for posts during February. Adding the milk to the batch. Did you know that you can become a fan of Majestic Mountain Sage on Facebook? Receive the latest updates, blog post notifications and more! Pouring the batch into the mold. Thank you for sharing this “half and half” method. I like this! Thanks, Andee. I have tried several methods for making ‘milk’ type soaps. As an experienced soap maker, this is the only type of soap where I lost an entire 5 pound batch…but only once. The ‘half-n-half’ method has been my most relied upon method for perfect soap. Yes I definitely love using the “half and half” method too. It’s worked well for me… milk, goats, coconut milk… I’ve tried the full milk way, but it smells terrible at first and although it did turn out good for me I think if it had gotten any hotter it would have been a terrible nightmare. Thanks for sharing this with us! I’m excited to try almond milk when you share it! I made a batch with almond milk and chocolate once. It smelled fantastic but when I cut it open it was a gooey caustic nightmare! Hello! Will the shelf life of the soap be shortened with the half and half method? Thanks! Nope. I like the half and half method far more than rebatching. Super technique!